What's there to say. British Columbia Canada is truely one of the most scenic regions World wide. Greg Scholl does an excellent job of bringing out it's beauty. There is something in this movie for everyone. 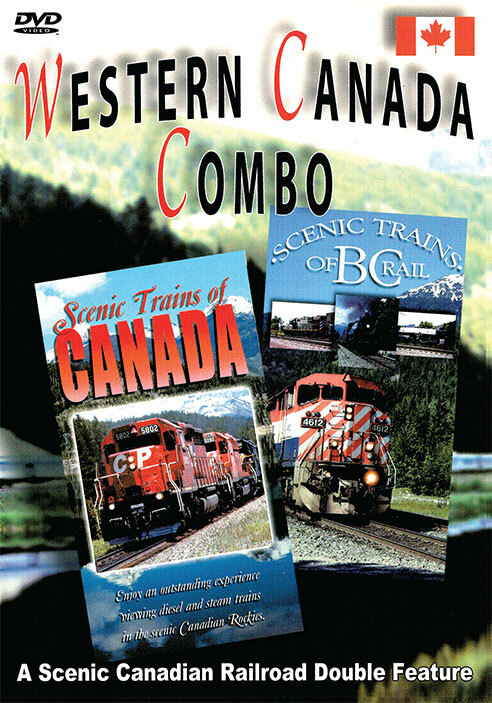 Long freights, passenger trains, Buds (RDC's), Steam and Diesel tourist trains (the Royal Hudson # 2860, and the Rocky Mountaineer), an Alco makes an appearance, then there are the operations of BC Rail before the CNR take over. No questions about it. 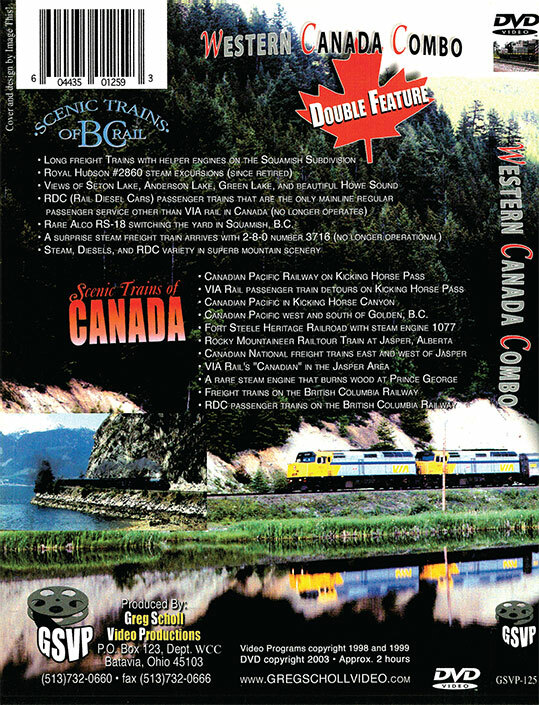 One of the finest, complete movies made in the mountain region of Western Canada. I thought if there was anything that could have been added, it would have been more on the CNR line from Jasper Alberta to Prince Rupert B.C. along with VIA Rail's Skeena Train. Unfortunately, only so much can be covered in any one movie and this movie covers a large region, so maybe (hopefully) Greg Scholl has more to come.